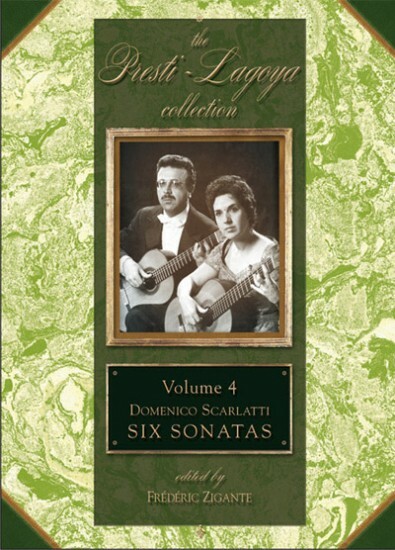 Edizioni Berben has released another installment in The Presti-Lagoya Collection, carried out with the approval of Ida Presti's and Alexandre Lagoya's heirs and based on manuscripts used by the duo for concerts in the 1950s and 1960s. As Lagoya wrote them out without ever intending to publish them, these new editions correct discrepancies between the music and performance recordings to make these arrangements playable by any guitarist wishing to perform them. Most fingerings are left up to interpretation, as the original manuscripts contained few, and instead are meant to be chosen according to the tone color desired by the guitarist.